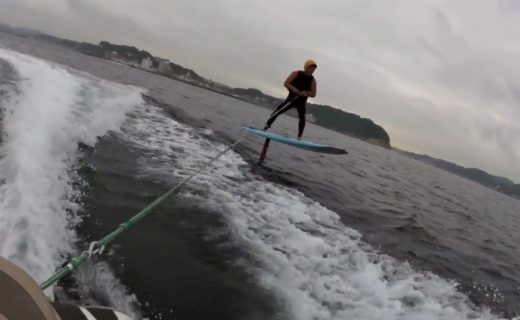 Today Mr. Ueda flighted with surf foil. His surfboard is Jimmy Lewis Surf Foil 5'8" and foil is Go Foil " Kai ". 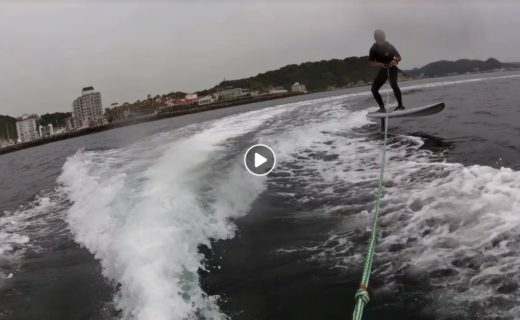 Practicing the surf foil with tow - in is quite difficult to stand up, but Mr. Ueda stood for the third time (^ ^) It is wonderful! And as it flew, it was the same as usual foiling, and the board was small and light, so the response showed a good ecstatic controllability.